Here are some things you may not realize about the newest addition to your curbside collection routine. 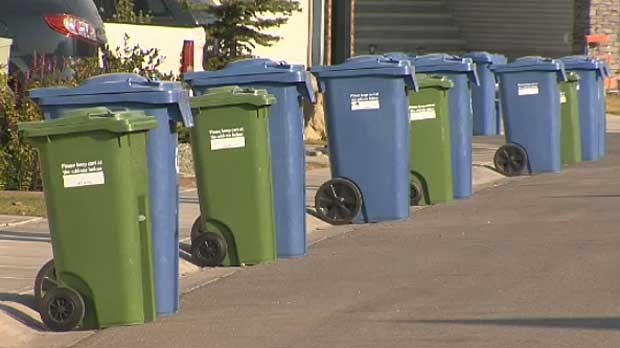 The average household should be able to put about 50-65 per cent of its waste in their Green Bin, with the recycling box picking up another 30 per cent. It will take your meat bones. It will take your fats. If you fried some bacon for breakfast and you’re cleaning out your pan, that bacon grease can go into your Green Bin. Not to mention, your paper dishes, coffee filters, tea bags, pet hair and landscaping debris are all acceptable items to put in your Green Bin. Kitty litter, soiled paper from bird cages and other pet waste items can go in your Green Bin; but anything of that nature should be contained in a paper bag (not plastic), out of consideration for the people who will be picking it up. It doesn’t matter if it’s forks and knives or Ziploc bags full of food waste – no matter what, plastic will not compost and therefore should not go in your Green Bin. Clean Ziploc bags can go in Blue Bins, though! Love your microwave popcorn? That paper bag you’re cooking it in can go in your Green Bin along with any non-styrofoam fast food containers. Worried about your Green Bin smelling bad or attracting fruit flies? Spray the inside of your bin with a mixture of 50 per cent vinegar and 50 per cent water. Use this link to find out more information from City of Calgary’s website.